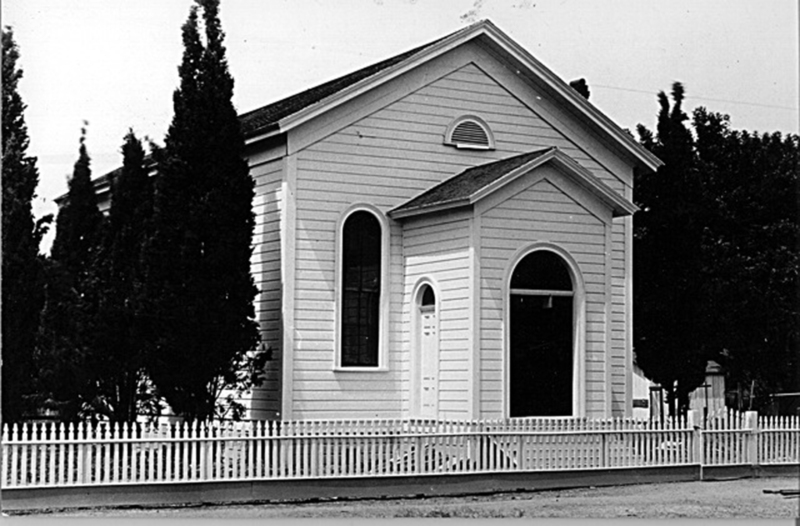 Presbyterian congregations met in rural homes and school houses in Yolo County whenever circuit-riding pastors were available. First church founded with a $200 grant from the Board of Missions – so we’re a mission church! Town of Davisville incorporated around the railroad crossing at the present Davis train station. Soon thereafter, the First Presbyterian Church of Davisville was formally organized and a wooden frame church was built at the cost of $4,000 on the northeast corner of Fourth and E Streets. The First Presbyterian Church of Plainfield merged with the Davisville church. 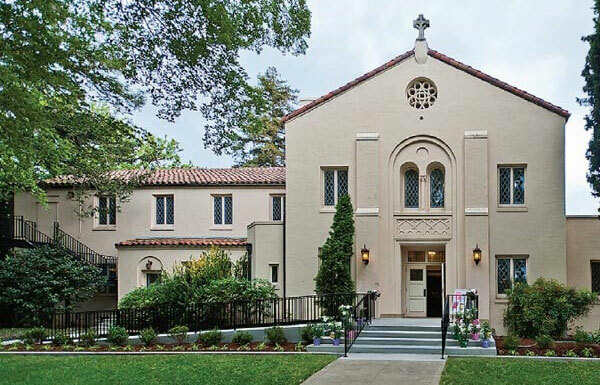 During this time, the Davisville Methodist Episcopal Church, South, disbanded and its members became members of the Presbyterian congregation. The town of Davisville changed its name to Davis. The church sanctuary was completely destroyed by fire. 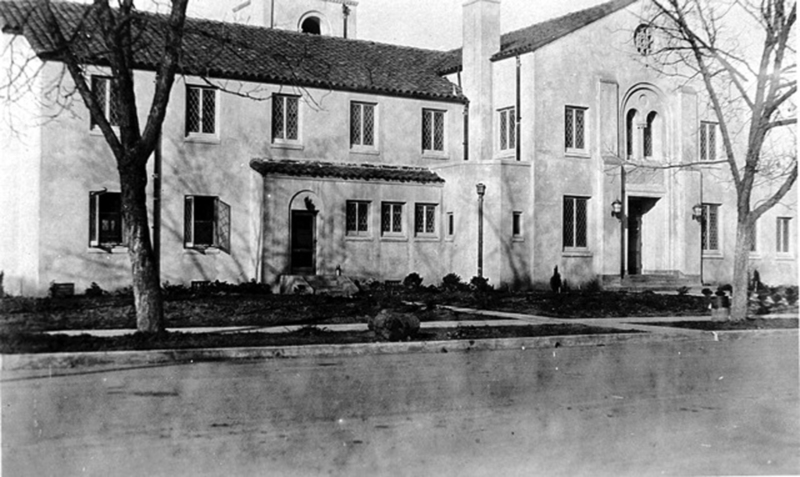 The church helped to establish the Cal Aggie Christian Association, now the ecumenical Protestant campus ministry located on Russell Boulevard. This same year, the Davis Arch was taken down and destroyed. The church took the name Davis Community Church. 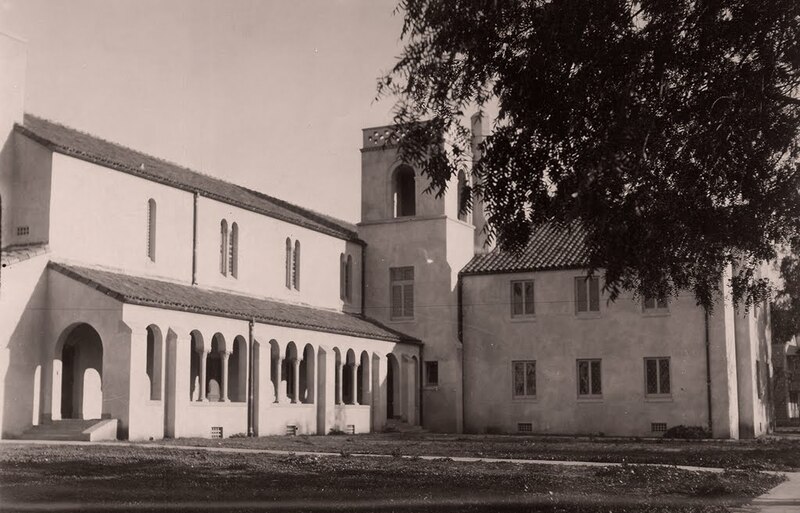 While maintaining its ties with the Presbyterian Church, it developed a more ecumenical Protestant vision and declared itself an interdenominational church with ties to the Presbyterian, Methodist, and Congregational denominations. 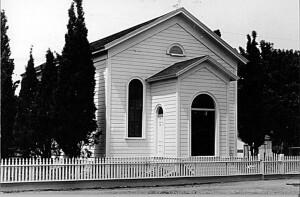 The present mission style sanctuary building was built at the northeast corner of Fourth and C Streets. Representatives of Baptist, Methodist, Episcopal, Congregational, and Presbyterian denominations attended the cornerstone laying ceremony. An arson fire required major structural repairs in the sanctuary. A stained glass window based on William Holman Hunt’s painting, “The Light of the World,” was installed above the choir loft. A Fellowship Hall was added to the north of the sanctuary building. 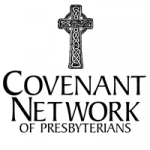 The formal relationship with the Methodist and Congregational denominations ended and DCC was once again solely a Presbyterian congregation. However, it has maintained its ecumenical spirit through the present. The present church office was built. The original Christian Education wing of the church was added. The Davis Community Church Nursery School (DCCNS) was founded as a parent co-operative to provide an outreach ministry into the larger Davis community. The present Moeller electro-pneumatic organ and the antiphonal division of organ pipes located above the balcony were installed at a cost of $150,000. An arson fire caused major damage to two new buildings under construction. The two buildings, the present Fellowship Hall and Phoenix Hall, were re-built following the fire. The total cost of the new construction was $1.8 million. DCC became a Stephen Ministry Congregation, having begun this nationally recognized ministry of lay care giving. The church established the Bread of Life Center for Spiritual Formation as a major outreach ministry of the congregation. They are now located in Sacramento. DCC took a lead role in establishing the Interfaith Rotating Winter Shelter of Davis.